The Italian auto maker, Fiat is all geared up to reveal its iconic Brand Alfa Romeo with a new mid-engine rear wheel coupe, a two-seater sports car that is tagged as Alfa Romeo 4C. The car that was earlier scheduled for the Geneva Motor show release has been revealed prior to that. The car has been designed by the Alfa Romeo engineers and has been produced at the Maserati Plant stationed in Modena. 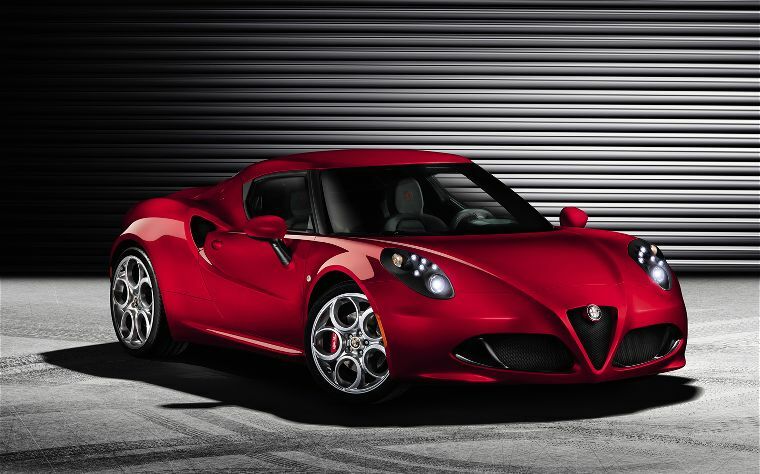 The new supercar will be hitting the market this year and will be marking the return of Alfa Romeo brand in United States and will also be initiating the Alfa Romeo global growth plan. The Alfa Romeo has been inherited directly from the concept that company revealed in 2011 at the Geneva Motor Show. It became so popular that it bagged three prestigious awards, the ‘Design Award for Concept Cars and Prototypes’ (2012 Italy), ‘Autobuild Design award’ in 2011 at Germany and the ‘Most Exciting Car of 2013’ by What Car? in 2013, Britain. The word 4C represents the brand’s glorious past. The word also displays the value of technology and emotions from the past into the future. It also refers to the most glorious period of the Alfa Romeo, the great sporting tradition that comprises cars like 8C and 6C that marked their presences on the roads and on tracks during 1930s and 1940s. The cars were equipped with the powerful eight cylinder and six cylinder respectively, that confirms with the design and layout to deliver accurate power to weight ratio for transforming them into a genuine supercar, just 4 kg/HP. With the extensive power to weight delivery the car didn’t only focused on the maximum power delivery but also on limiting the weight to maintain maximum agility and deliver top performance. 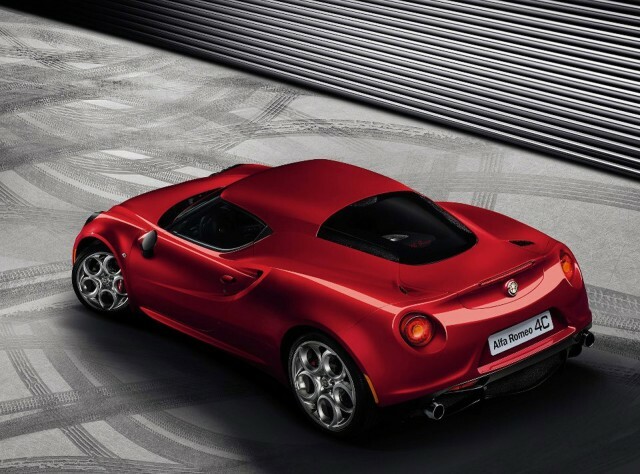 The new vehicle derives the materials and technologies inherited from the super sports cars, like carbon fibers, rear wheel drive, aluminum and the technologies housed in the latest models of the Alfa Romeo 4C but tweaked to increase the overall sporty appeal of the new car. The fact can be considered via the new 1750 turbo all aluminum petrol engine with direct injection, Alfa DNA selector with the untamed race mode and the Alfa TCT twin dry clutch transmission. The new Alfa Romeo 4C’s design eventually led your mind towards some of the most iconic models of the brand that have left significant marks in the history of Alfa Romeo. If we look at the dimensional and the layout similarities it resembles much with the 33 Stradale, a unique vehicle that combined extreme mechanical and functional requirement that also complemented the style and clothed the engine at the same time and the chassis that also receives the unquestionable Alfa Romeo treatment. 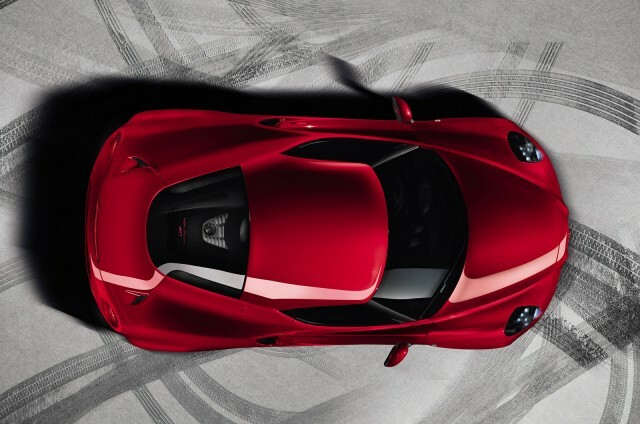 The 4C has followed the lead closely and has moved ahead in a journey that was started with the 8C Competizione, putting emphasis on the most particular essence of the brand; dynamism, agility and compact size. The core design and the elements that have been used in the vehicle also remarks the interior that has been all designed for offering maximum drive satisfaction. Particularly the carbon fiber use in the interior shows remarkable uniqueness. The carbon fiber has been used in the interior to make central cell and has been left open for the full view to give the vehicle extra plush feel. It also enhances the sense of uniqueness in terms of light weight and technology.